Stan's Painting Company has been proudly serving Williamsburg and surrounding cities for over a decade. 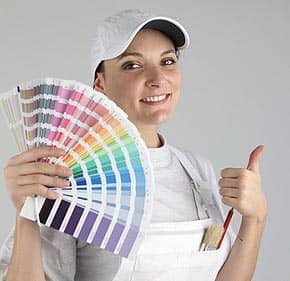 We are a locally owned and operated painting company that specializes in a comprehensive service that includes extensive prep work along with our quality interior and exterior paint jobs. We've gained a reputation with our customers providing honest, trustworthy, and impeccable work. Our services are fully licensed and insured to give you full peace of mind throughout the entire process. We don't consider our job finished until the customer is happy; that's why we finish every job with a full walk-around inspection with the customer to guarantee satisfaction. Browse through our website and feel free to contact us for a free, no-obligation consultation. Highland Painting and Construction main focus is residential painting, both interior & extrerior painting. We were previously known as James River Painting and Handyman. We felt it necessary to do this because the new name focuses on our daily strategy, painting. Offering quality interior and exterior painting servicing mostly in Williamsburg, Newport News, Toano, Providence Forge, Barhamsville, Yorktown, and surrounding towns for over a decade. Offering expertise in painting, home-sale preparation, power-washing and more! Give us a call for a free estimate today! They did a excellent job of replacing the wood rot and power washing before painting. Deck sealing is delayed due to rain. would highly recommend this contractor and use them again for other projects. Stan did a great job. He was very thorough, he was very timely and I was very pleased with the work. I will definitely call Stan in the future. Offering quality interior and exterior painting and construction servicing in Newport News, Hampton, Yorktown, New Kent, Williamsburg, Virginia and the surrounding area for over 12 years. Offering expertise in painting, wood staining, trimming, home sale preparations and complete construction.